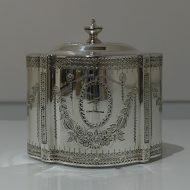 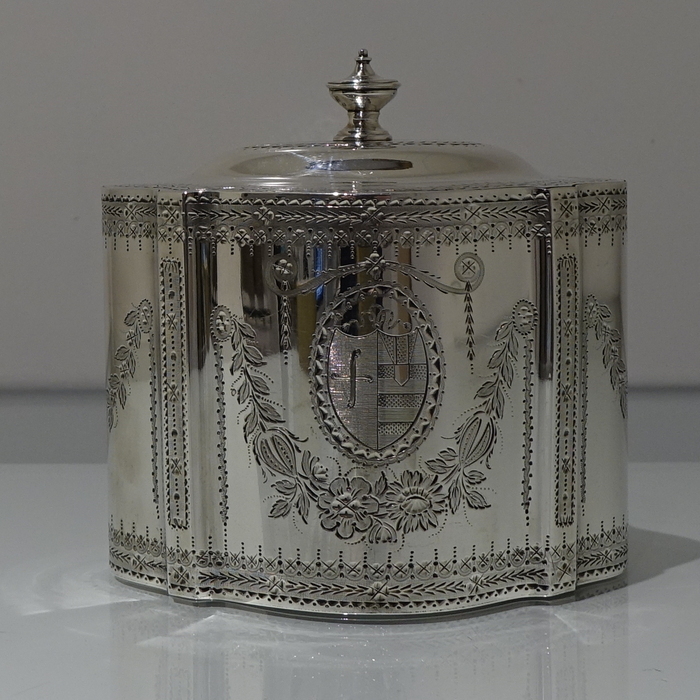 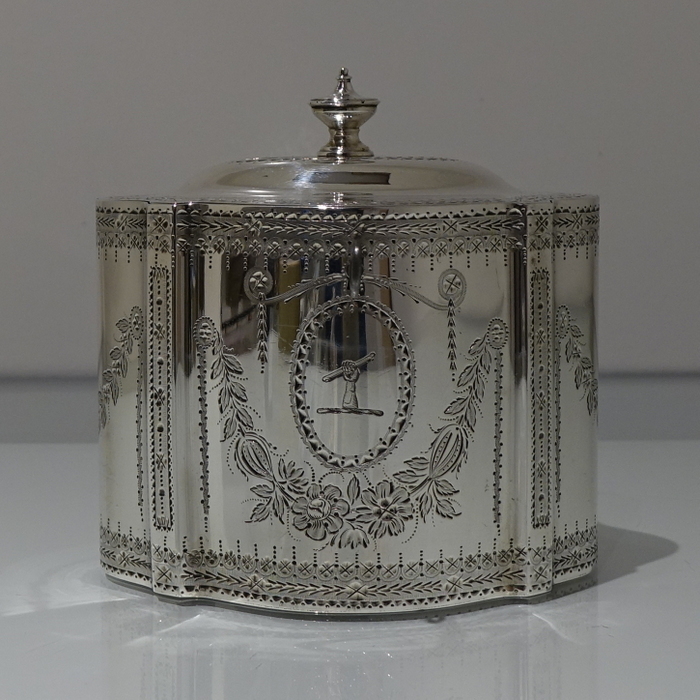 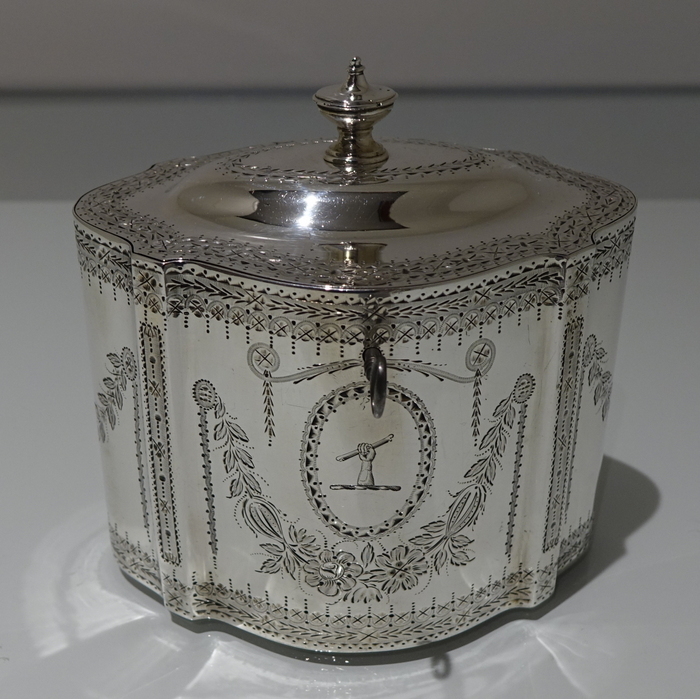 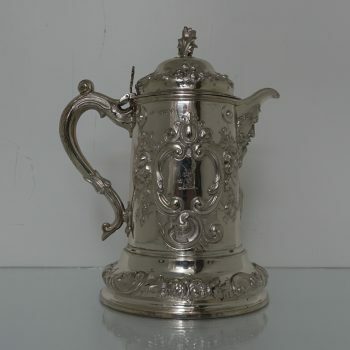 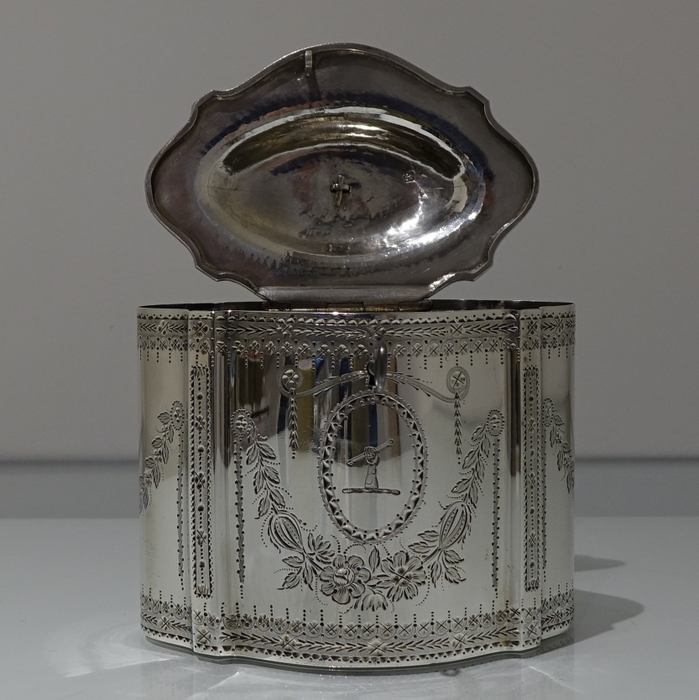 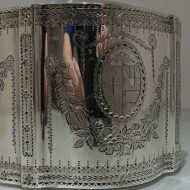 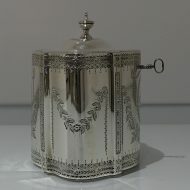 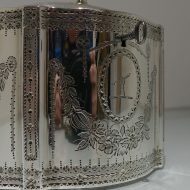 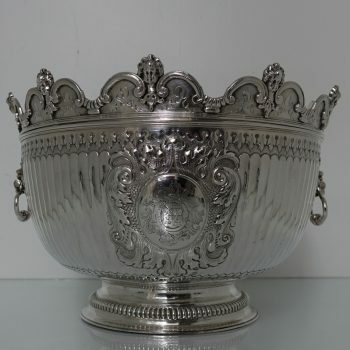 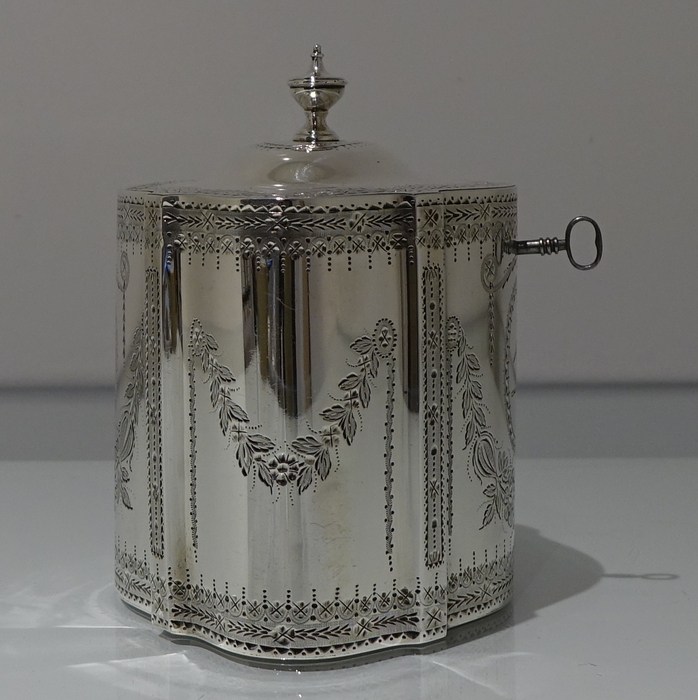 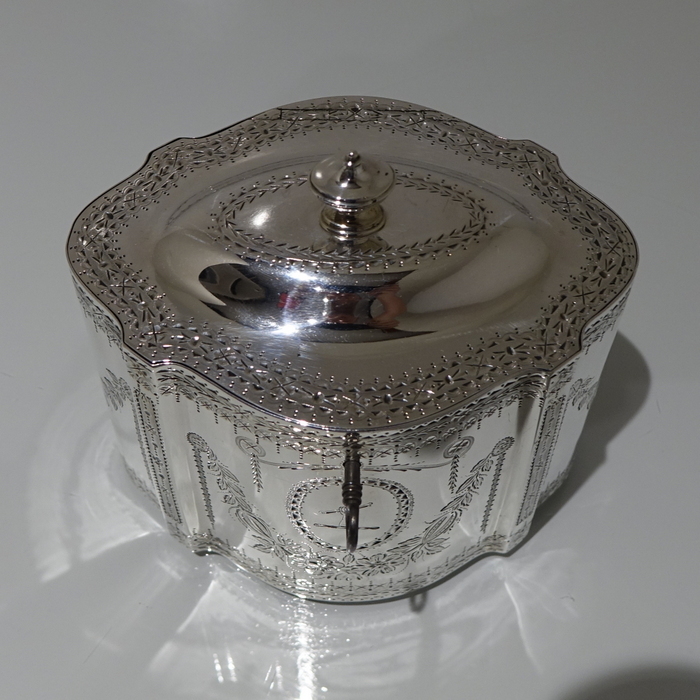 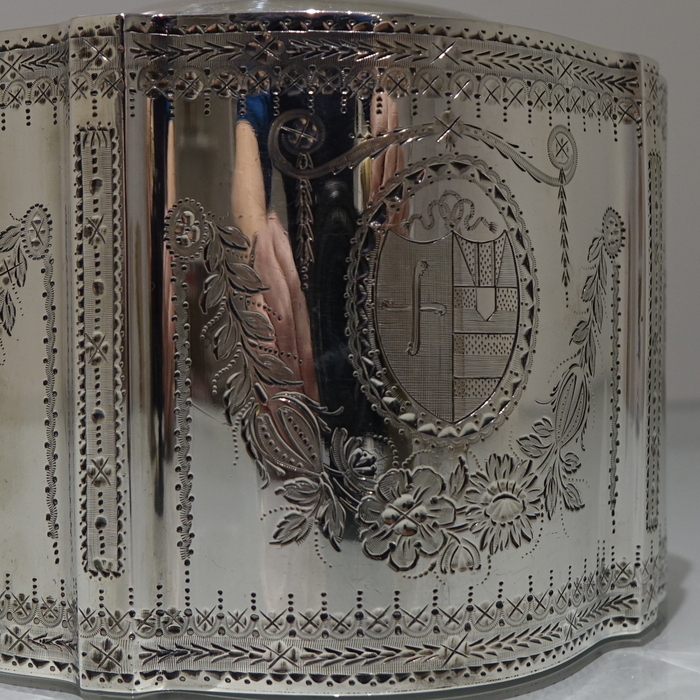 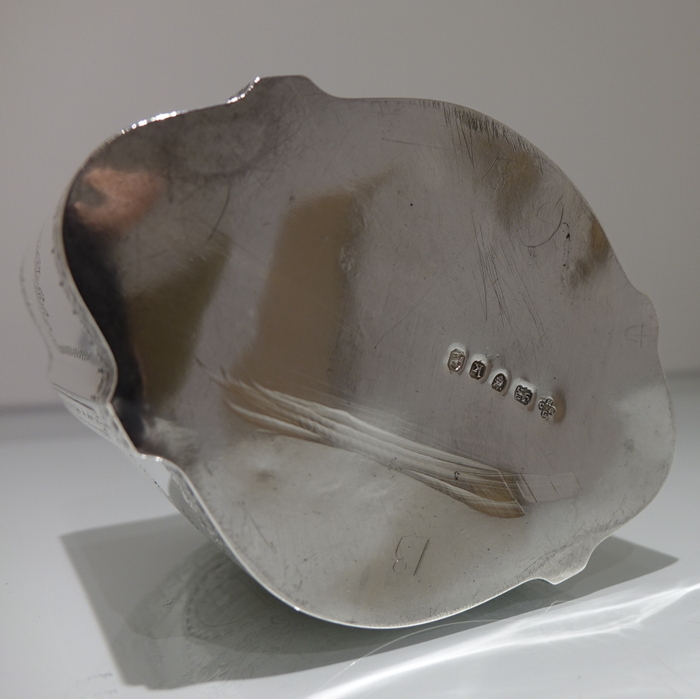 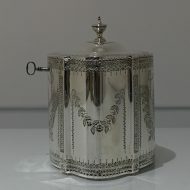 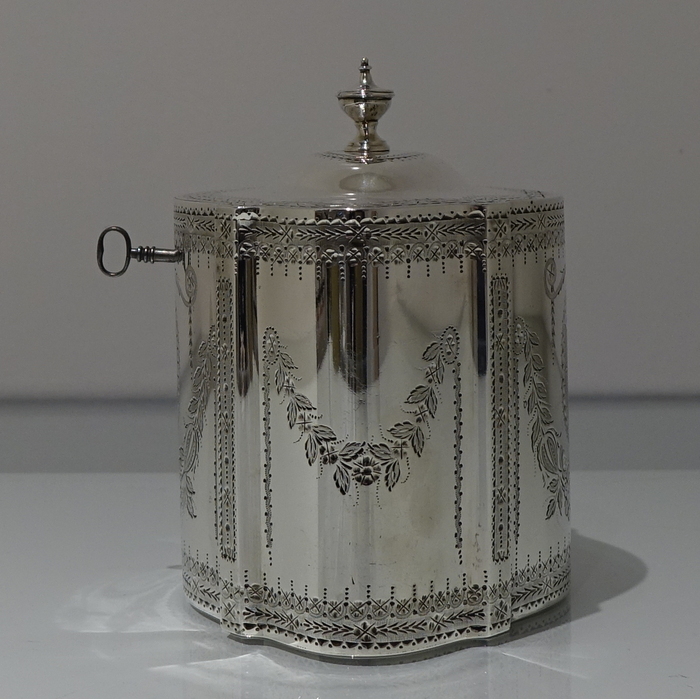 A stunning 18th century shaped oval bright cut engraved tea caddy. 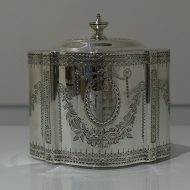 A stunning 18th century shaped oval bright cut engraved tea caddy. 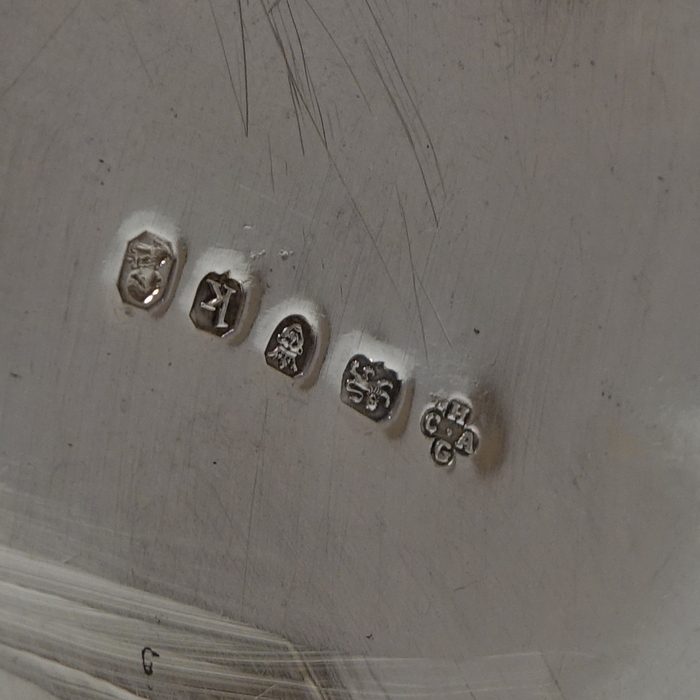 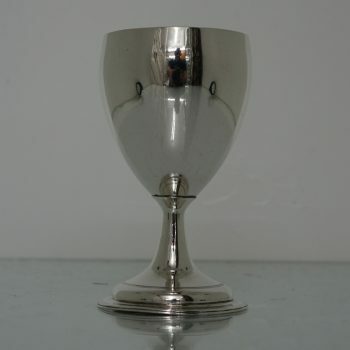 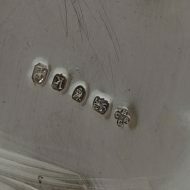 The lid is hinged and there is both a delightful contemporary armorial and crest for importance. 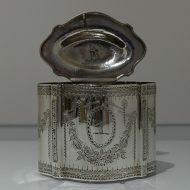 There is no record of Charles Aldridge in the index of freemen 0f the ‘Clothworkers’ Company, but the Girdlers Company lists of freemen shows Charles Aldridge, free by redemption, 23 June 1772, followed immediately on the same day by Henry Green, which suggests that both partners acquired freedom of this company to enable them to set up business.